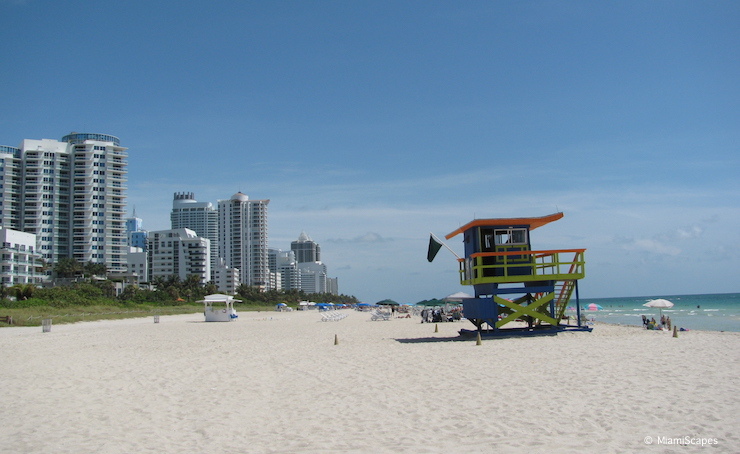 Miami Beach proper is a 7-mile stretch of beaches, and rather than being "one beach" it has several distinct areas, including trendy South Beach, classic Miami Beach "Mid-Beach" and quieter North Miami Beach. 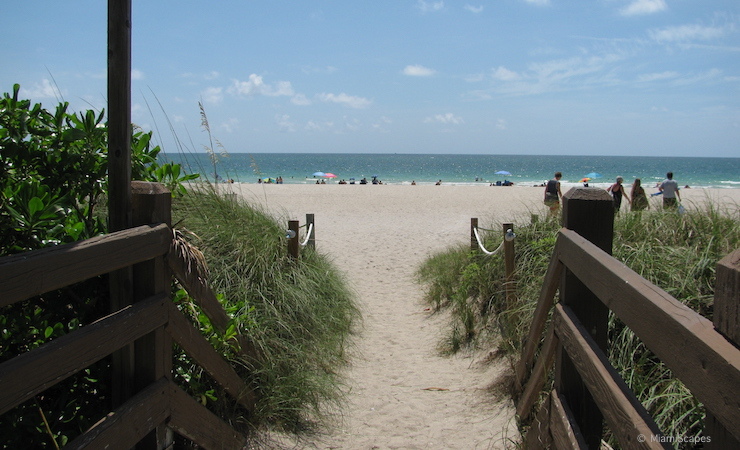 "Mid-Beach" is the stretch running from 23rd to 46th Street along Collins Avenue. Extending along the oceanfront on A1A, this main corridor is dotted with majestic beach front resorts, smaller properties catering to the boutique crowd, celebrated restaurants, swanky clubs, a world-class art scene, shops, spas, golf courses, marinas... and of course the miles of sparkling beaches lining the shore. The atmosphere here is subtler and refined but still with a very lively vibe and with plenty of entertainment around. 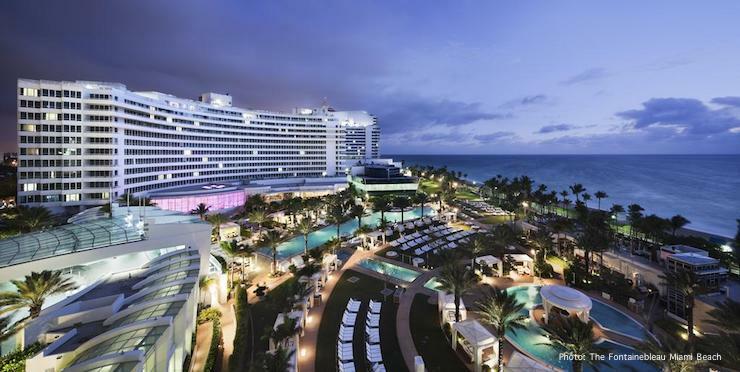 Through the years, Miami Beach keeps coming back and reinventing itself, from the early days of being just a snowbird paradise to the emerging art center and architectural trendsetter it is today. This is classic Miami Beach, home of some of the city's iconic properties, the Fontainebleau and Eden Roc as well as an ever-evolving roster of newcomers, the Faena District and its centerpiece the Faena Hotel, the Nobu Hotel and restaurant within the Eden Roc, and many more that keep shaping the neighborhood into a thriving art, cultural, and culinary mecca. But one thing is a constant. The allure of white sand beaches and turquoise waters continues to beckon visitors from all over the world. 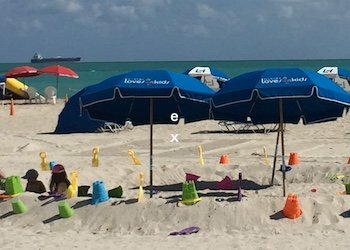 The beach itself has a more mellow vibe than the next-door cousin South Beach, with all the conveniences and amenities for a great day out. 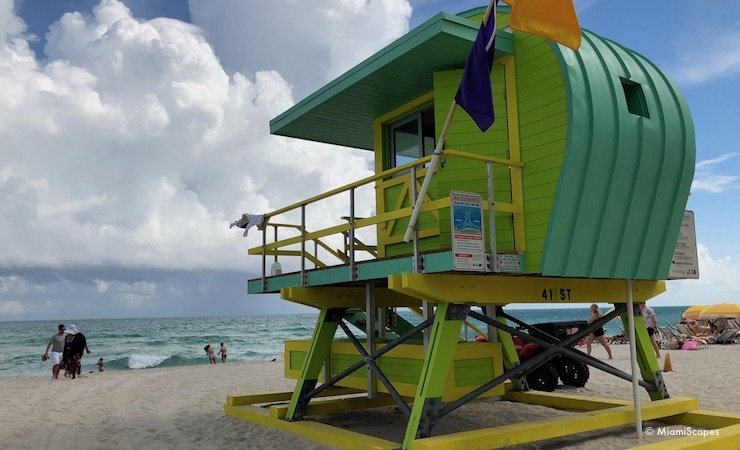 Miami Beach has lifeguards on duty, and you will also see here the chic lifeguard towers in their bright and varied shapes and forms, that have become a beloved symbol of the city. 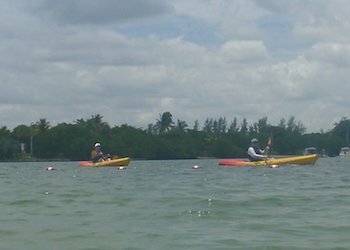 And throughout Mid-beach you will see facilities with plenty of chair and umbrella rentals as well as a great variety of watersports. 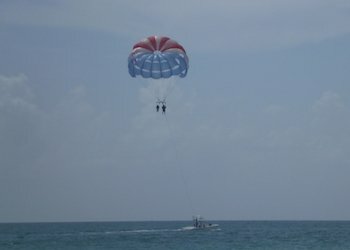 Whether you are in the mood for parasailing, jetskiing or stand-up boarding. The rental facilities you can spot all along the beach specially around the major hotels and resorts, they are normally marked with colorful flags and you will see equipment lined up nearby, i.e. 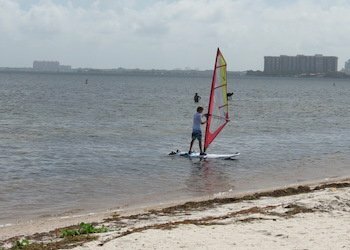 jetskis, standup boards, etc. 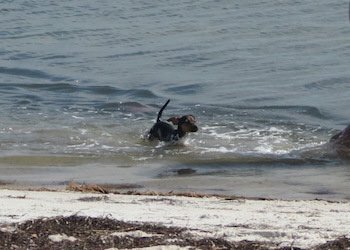 Access to the beach is free for everyone. Streets that intersect Collins will lead to the Boardwalk which has direct access points to the beach. 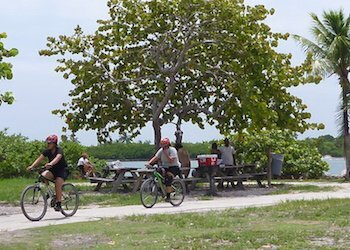 One of the faves features of Miami Beach, is its elevated boardwalk, which runs along the shore and connects via a series of promenades and paved paths to South Beach and on to South Pointe Park at the very southern tip of the islet. 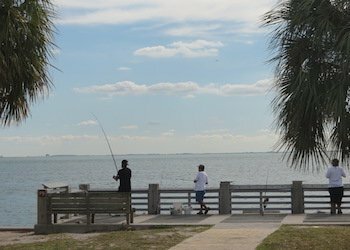 Great for a stroll, or if you need to burn some more calories, for a jog, and enjoy some amazing views of the sandy shore, the sparkling waters on one side, the towering hotels on the other. 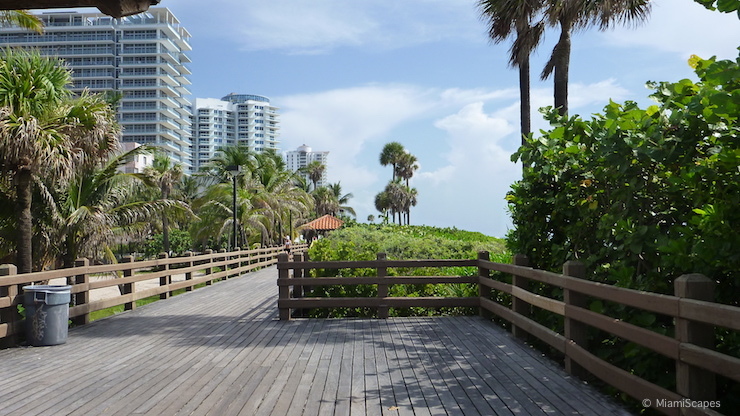 The Miami Beach Boardwalk from 23rd to 46th Streets which is the wooden boardwalk part, is at the moment a pedestrian-only path. It is undergoing some major work to convert it to a wider paver walkway for both pedestrians and cyclists like most of the rest of the Beach Walk. 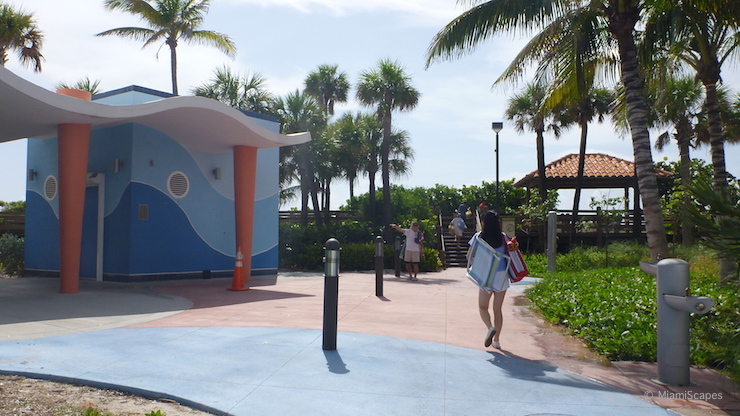 Here's more on the Miami Beach Boardwalk. 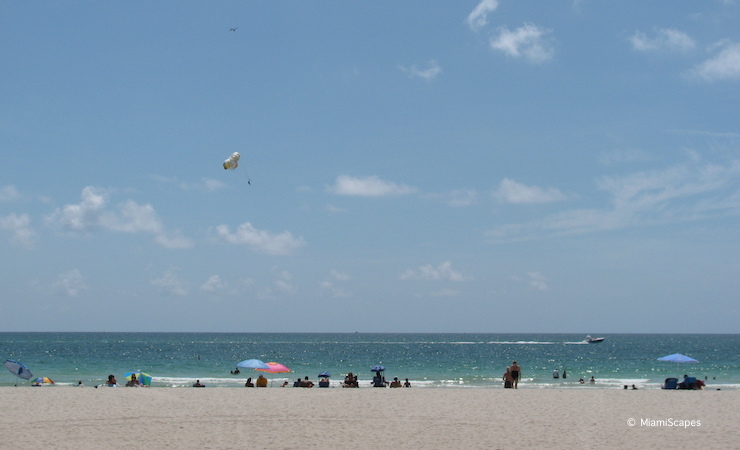 Getting to Mid-Beach is easy, take I-95 North or South to I-195 and follow all the way to Miami Beach. I-195 drops you at around 41st Street. 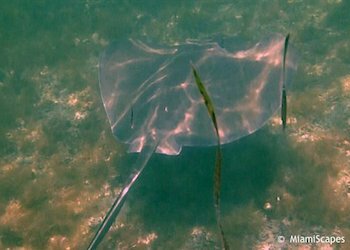 If you are visiting for the day there is street parking (if you are lucky) and there are also many convenient city parking lots along Collins Avenue, the major North-South thoroughfare. Parking at the municipal lots and garages is much cheaper than the valet or onsite parking at the many hotels where rates could be up to $50 per day. Best thing to do when looking to park in Miami Beach is to download one of the city's recommended mobile apps that provide in real time the nearest empty spaces and rates. Parking rates are enforced 7 days a week from 9:00 am to 3:00 am. At the surface parking lots and on the street there are meters and multi-space pay stations. You can also pay using the ParkMobile App. Getting around in Mid-Beach without a car is easy. 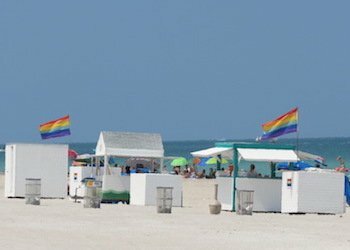 If you are not within walking/biking distance, try to Uber/Lyft, the $0.25 bus shuttle or the FREE trolleys that connect you to other parts of South Beach, Miami Beach and downtown. 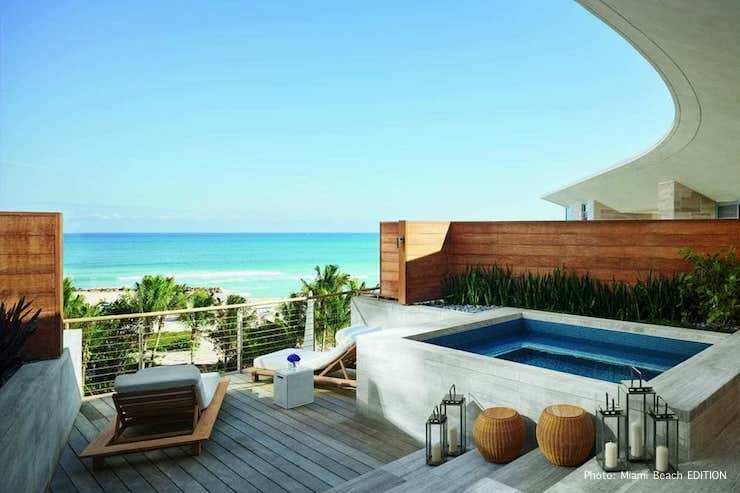 Just 10 blocks north of the party atmosphere and pumping music of South Beach, the Mid-Beach location in Miami Beach is ideal for those who want a quieter and relaxing beach vacation while still close to the action of South Beach, which is merely a short bike ride away and also easily accesible with the city's FREE trolleys. Hotel options range from small boutique art deco hotels to large oceanfront resorts complete with golf courses, marinas and spas.